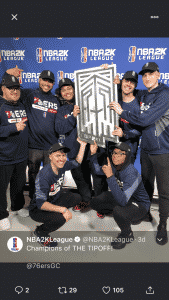 The 2k League was on full display May 1st as the first ever NBA 2k League Tip Off Tourney commenced. This would be the very first look at teams and players in this historic league. Gameplay resided on Twitch due to the league and Twitch coming to a partnership earlier in the year. The tournament would have all 17 teams separated into Groups which will be provided below. The gameplay for the league appeared to be the same as it was in the first ever NBA 2k Combine. Players could only choose the archetypes that were presented for each position, and all players had the same archetypes to choose from. The created players they played with each were 90 overalls and had badges like the Combine as well. The 2k league idea for improving the quality of gameplay was to increase the difficulty of shooting the ball as well as eliminate ankle breaker spams. In my opinion, this was a great idea as it would show the skill gaps for players. However, after watching the tournament day by day what I dreaded most was still apart of the game, and that was the lack of paint defense. This was a massive problem in the Combine and didn’t get fixed for the start of the league. I have no clue if they will look into this issue or not but I do feel it is something that needs to be addressed. Too many times while watching the games there would be centers that would look to get deep in the paint and mash. To stop mashing, I think that the three-second rule should be fixed in the game. There would be plenty of situations of bigs running in the paint and just standing there for what seemed to be more than three seconds. Also, there were times where the defender would be in perfect position to steal the pass going down low, but the ball went through their body. My biggest gripe against the gameplay in this tourney was paint defense. There were hardly any post moves being displayed in this tourney which I feel is one of the most significant skill gaps for bigs. For my overall thoughts on the gameplay, however, I would say that they have taken a considerable leap in the right direction. Before the league began, there were questions of if teams would be running five out all game like the majority of top teams did in proam. The answer is no. To my surprise, many teams ran set plays, and it was indeed refreshing and great to watch. There weren’t too many groundbreaking takeaways from this tourney since it’s just the beginning although there were a handful of teams that caught my eye. The Tip Off Tourney was held in New York, as will every other tournament, and the visuals of the event were spectacular. Even viewing from Twitch you could see how well together the event was and feel a great atmosphere inside. It definitely was enticing to the viewer and would make he/or she want to attend. The commentators were absolutely wonderful as they added another dynamic to the game. There were some references to the game that weren’t accurate, but I’m not going to nitpick and take away from the great job they did. It felt as if you were watching an NBA game and that is the energy the league should continue to provide. During this tourney, the views averaged somewhere between 5k-11k which I felt was a great start and they can only build from this number. The league should continue to focus even more on building a community and family just like the NBA. I believe the transparency and visibility of the players would create a larger and larger audience. 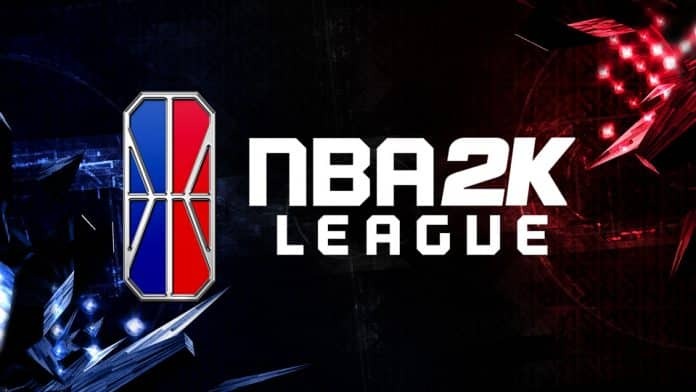 Numbers are essential for the 2k league due to this not being any regular league for a video game but a league based off an actual professional sports teams. They’re on the right track and can only see numbers skyrocketing after the success of this tourney. The Tip Off Tourney was an enormous success for several reasons. I loved the passion from the players as well as those that viewed at the venue and on Twitch. Commentating was spectacular and the gameplay, while lacking in some aspects, was exciting to watch. The coaches and those involved with building the team also deserve a tremendous amount of credit for getting players ready for this moment. The in-game commentary from the players was also something I felt gave an “I’m in the crowd” feel. Even when the commentators were talking you could hear the players screaming in the background which showed the passion in the building. Although, an issue I had was that it took severely too long to get stats back after each game. But in totality, this was a big thumbs up for the league, and I look forward to the future. The next tourney will take place June 8th as we await which teams will grab the spotlight yet again. Previous articleSkate 4 Coming Soon?